It's been two weeks since the New York Film Festival wrapped, nearly 4 weeks since Hollywood has imploded following the news of Harvey Weinstein's dirty behavior, and there is a lot to talk about. So I am going to get right into and highlight what I saw at the festival, and how the Weinstein case tainted certain films. Quick Review: I would say I am surprised that this film has garnered so much praise from my fellow critics, but actually I'm not. 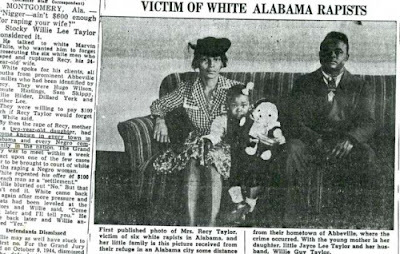 Hollywood pundits may scoff at films that portray the experiences of disadvantaged people of color in film, but they will never, ever turn down a film about the white poverty experience. 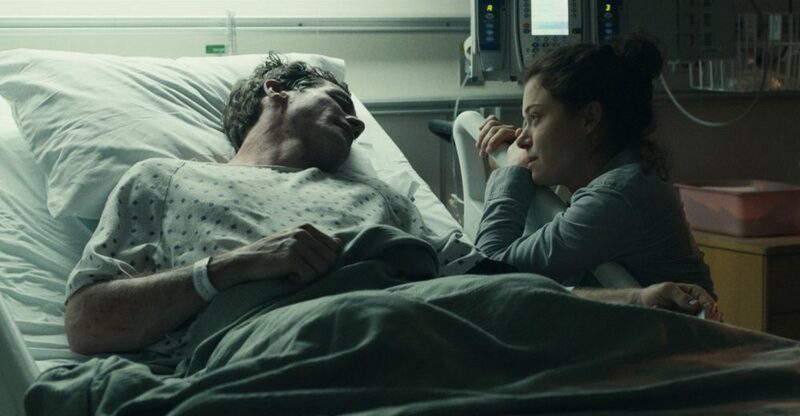 While it is solidly acted and does have its moments, there seems too much distance between the storyteller (Baker) and the story to truly connect with it. It seems more casually curious and at times even exploitative in its attempt to center the narrative of a poor, marginalized single mother and her precocious young daughter. This effort is at least an improvement from Baker's last film, Tangerine (which I despised), but he still leaves much to be desired. I just left the theater feeling very unaffected, and that shouldn't be the case--not for a story like this. 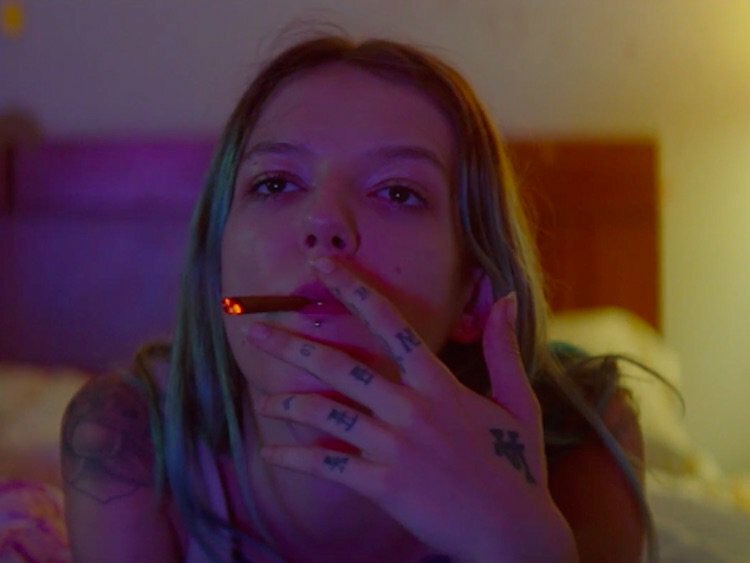 Quick Review: Not a perfect film by any means, but in the wake of Hollywood's implosion post-Weinstein, the film holds a significant relevance. Read my full review here via Hello Beautiful. Quick Review: Dee Rees deserves all the praise she's (hopefully) going to get with this epic drama that contextualizes war and race between a white family and a black family. Read my full review here via Hello Beautiful. 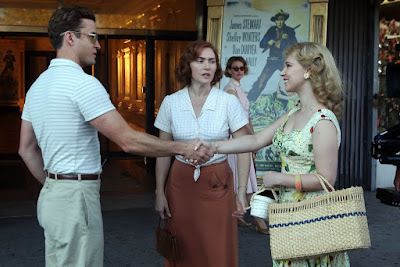 Quick Review: First of all, Justin Timberlake isn't that good of an actor to be leading a Woody Allen movie. Second, Allen's personal is...problematic, to say the least (and the fact that this concluding film in the festival premiered at the height of the Weinstein case was not lost on any of us). Third, there are few filmmakers (outside of Pedro Almodovar, who rarely gets his due) who can portray a woman spiraling out of control better than Allen--without parodying her. Of course, much of that credit is due to Kate Winslet's performance as a 1950s wife and mother suffering equally from boredom and feeling unloved. But as great an actress as Winslet is, I couldn't help but wonder what an actress like Julianne Moore would have brought to the role. I know she's played a lot of women on the verge of breakdowns in the past, but infusing that with Allen comedy (because really, that's a genre in and of itself) could have been interesting. The film is fine, romantically lit and beautifully shot (like many Allen films), but isn't nearly effective as, say, Allen's last great film--Blue Jasmine. Quick Review: A lot of folks are raving about Armie Hammer as the dashing American who comes and sweeps a boy (Chalamet) off his feet in his Italian home, but I say meh to that. Hammer is a dashing guy. He just shows up on screen and charms your underwear right off. But beyond charm, his performance is quite thin to me. Chalamet, however, is mesmerizing in the film. He carries the weight of the emotional layers so beautifully and effortlessly. But my, Stuhlberg nearly broke me. 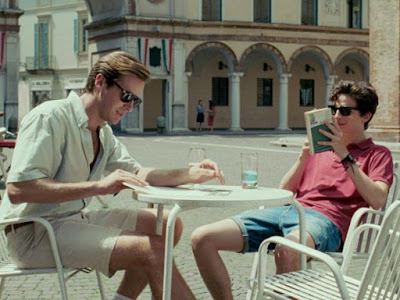 He plays an art scholar and Chalamet's dad in the film, and is for the most part just there to guide Hammer's visiting scholarship, but he delivers a monologue at the end of the film that just stops your heart. While trying to spice up her marriage in a remote lake house, a woman must suddenly fight to survive when she is left handcuffed to a bed. Directed by Mike Flanagan. 1922 is based on Stephen King's 131-page story telling of a man's confession of his wife's murder. The tale is told from the perspective of Wilfred James, the story's unreliable narrator who admits to killing his wife, Arlette, with his son in Nebraska. But after he buries her body, he finds himself terrorized by rats and, as his life begins to unravel, becomes convinced his wife is haunting him. Let's all hail George Takei, who made it off the Starship Enterprise decades ago and since become a nerd icon and important human rights activist. He continues to do the Lord's work today by executive producing the film adaptation of author Jamie Ford's wildly popular WWII novel about the heartbreaking romance between a Japanese American boy and a Chinese American girl, HOTEL ON THE CORNER OF BITTER AND SWEET. And may I be the first to say thank you, Sulu. Hopefully this drama receives the platform it deserves because goodness knows we need to see this kind of representation on the big screen. While the film centers on the love between the two main characters, the war setting and political turmoil are ripe for a major Hollywood saga. It will be great to see not one but two Asian American leads of color on screen (unless Hollywood opts for a white character, which would cause a Twitter riot that I would likely start). Hotel on the Corner of Bitter and Sweet is the story of Henry Lee, a Chinese American boy in Seattle who falls in love with Keiko, a Japanese American girl, as she is sent to an Internment camp during WWII. 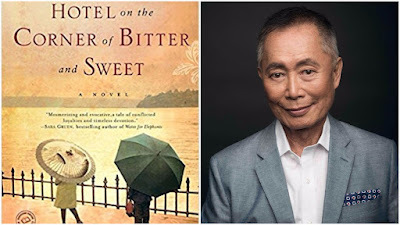 It is a bittersweet tale about racism, commitment and enduring hope–-a noble romantic journey set in 1942, and later in 1986, when the belongings of Japanese families are discovered in the basement of an old hotel. A widower now, Henry must reconcile the past and the present, the things he did or didn’t do, the things he said, and the things he left unspoken. Set during one of the most conflicted and volatile times in American history, this is a timeless tale of love lost, and found. Will you support? I know I will. The world has been in desperate need for an epic drama from a black woman director for quite some time time (Ava Duvernay's Selma was three whole years ago, during which time there have been 5 billion "epic" sagas from male directors). Dee Rees, the Pariah director who's been quietly brilliant and falling so far under your radar for no good damn reason. Here's hoping that now is the time you will start paying attention. 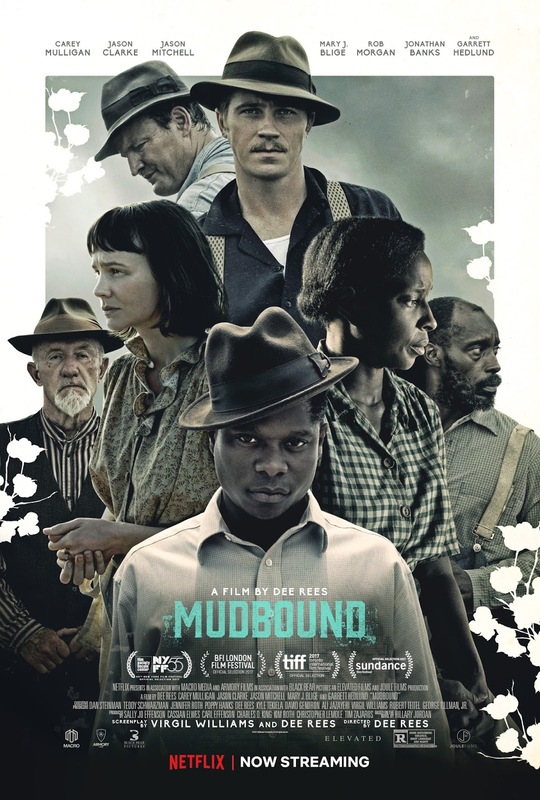 Set in the rural American South during World War II, Dee Rees' Mudbound is an epic story of two families pitted against one another by a ruthless social hierarchy, yet bound together by the shared farmland of the Mississippi Delta. Mudbound follows the McAllan family, newly transplanted from the quiet civility of Memphis and unprepared for the harsh demands of farming. Despite the grandiose dreams of Henry (Jason Clarke), his wife Laura (Carey Mulligan) struggles to keep the faith in her husband's losing venture. 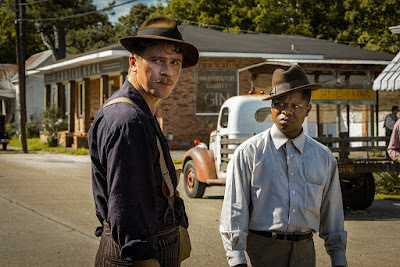 Meanwhile, Hap and Florence Jackson (Rob Morgan, Mary J. Blige) - sharecroppers who have worked the land for generations - struggle bravely to build a small dream of their own despite the rigidly enforced social barriers they face. The war upends both families' plans as their returning loved ones, Jamie McAllan (Garrett Hedlund) and Ronsel Jackson (Jason Mitchell), forge a fast but uneasy friendship that challenges the brutal realities of the Jim Crow South in which they live. I'm here for Hollywood icons telling their stories in their own words in documentary form. Because too often their stories are distorted or downright inaccurate in feature films--especially when it comes to black icons. So I am intrigued by the trailer for the upcoming film, SAMMY DAVIS, JR.: I'VE GOTTA BE ME, which will world premiere at the Toronto International Film Festival next month. Featuring new interviews with such luminaries as Billy Crystal, Norman Lear, Jerry Lewis, Whoopi Goldberg, Quincy Jones and Kim Novak, with never-before-seen photographs from Davis’ vast personal collection and excerpts from his electric performances in television, film and concert, SAMMY DAVIS, JR.: I’VE GOTTA BE ME explores the life and art of a uniquely gifted entertainer whose trajectory blazed across the major flashpoints of American society from the Depression through the 1980s. None of that headline is actually me being facetious. It's true. Justin Simien, the writer/director behind both the TV and film versions of the race "satire" Dear White People, has signed on for what's also being pegged as a satire in the horror genre, BAD HAIR. (I use quotation marks around the word satire because I find nothing really satirical about blackface and black LGBT politics on college campuses. But, the media has apparently taken comfort in referring to it as such, so there's that). It seems to be about a young woman whose weave gets beyond her control...or something. Paralleling the rise of New Jack Swing in 1989, Bad Hair is a horror satire that follows an ambitious young woman who gets a weave in order to survive the image obsessed world of music television. Her professional success comes at a higher cost than anticipated, however, when she discovers her new hair may have a mind of its own. Filled with biting satirical commentary and genre bending thrills, Bad Hair marks both an evolution and departure for filmmaker Simien from his Dear White People film and television series. Yeah, I don't know. In this age of hair politics? We'll have to wait and see, I guess.